Capable of speeds approaching 200mph, the A109S is the fastest commercial helicopter available for charter. With climate control, enhanced sound-proofing and state-of-the-art technology, the A109 provides a fast and comfortable way to reach your destination. The spacious cabin and excellent visibility offer passengers a very comfortable and enjoyable environment for the duration of their journey. 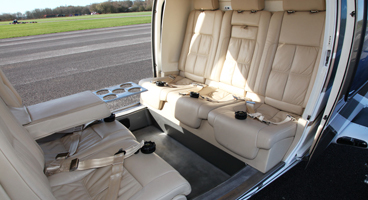 Proven to be one of the most popular choices for helicopter travel, the Twin Squirrel provides a fast and comfortable option for business or pleasure. The Dauphin is one of the larger aircraft we operate. The aircraft offers a spacious cabin, climate control and enhanced sound-proofing, making it the ideal environment to conduct business affairs or entertain guests en-route to your destination. The rotor system of the Dauhin has been designed to provide a smoother flight, adding to the already excellent levels of comfort. 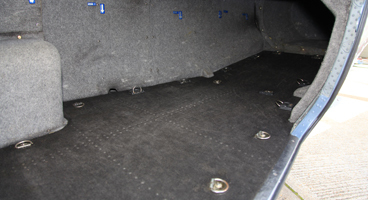 The EC135 offers a compromise between the A109 and Twin Squirrel, and is ideal for journeys where cabin and luggage space is important. The EC135 can carry up to 5 sets of golf clubs in its large baggage hold, while passengers benefit from a spacious cabin area with enhanced sound-proofing. Using the very latest cutting edge technologies, the EC155 offers all of the amenities of a private jet, but without the need for a runway. Thanks to its advanced rotor system, sound-proofing and climate control, the EC155 provides its passengers with unrivalled levels of comfort. 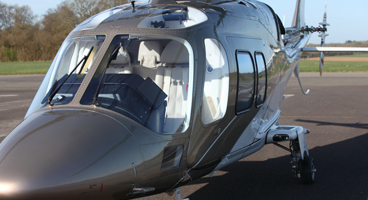 The EC155 is the next step up from Dauphin, and is widely accepted as the pinnacle of the helicopter charter industry. The proven S-76 helicopter is regarded as the ultimate in luxurious helicopter travel, with more cabin space and similar levels of comfort to the EC155, this aircraft takes helicopter travel to a new level.